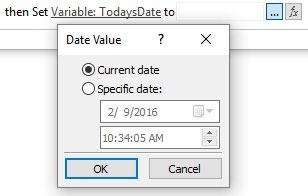 This article explains different methods of setting a date value (date variable) using a SharePoint designer workflow. 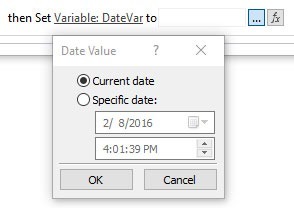 It describes how a date variable can be set to either a static date, a dynamic date, or a calculated date. 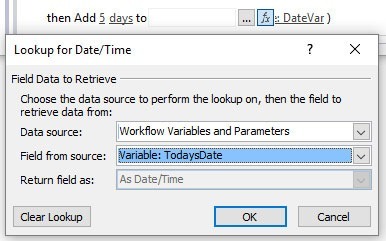 A date variable in a SharePoint designer workflow can be set to a specific (or static) date, or it can be set to a calculated (or dynamic) date [for example, today’s date plus 5 days]. Let’s start by showing how to set a date variable either to today’s date or to some specific date. Click 0 in the text for the action and type 5. Click minutes and select days from the dropdown. NOTE: Trying to combine both lines into one, as shown below won’t work. At least, it didn’t work for me. You may sometimes need to set the value of a date column to empty or blank or null. You will NOT be able to do this by just plugging in an empty value or a space. 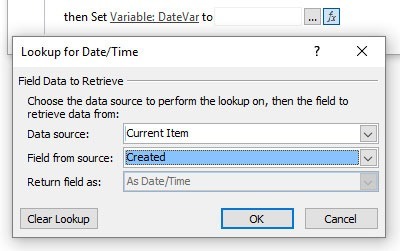 Interestingly, SharePoint requires that you set the date to 1/01/0001 and that you use a variable to do this instead of attempting a direct value assignment. How do I assign a date variable back to a PWA date variable. Nothing seems to work? This is a great guide on how to do this. Thanks! 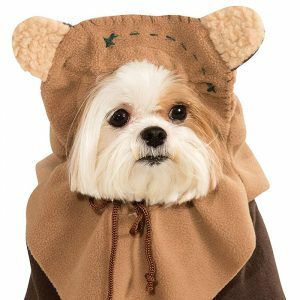 Transform your four-legged friend into an Ewok from the Forest Moon of Endor with this pet costume inspired by Star Wars. 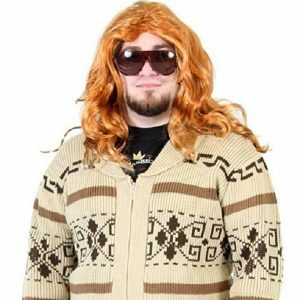 It features a shirt and headpiece with attached Ewok ears to create an ensemble look that is out of this world. Gerardo on Versioning Workflows In SharePoint With C#/ASP.NETHi, Is there a way to versioning SharePoint 2013 workflow?